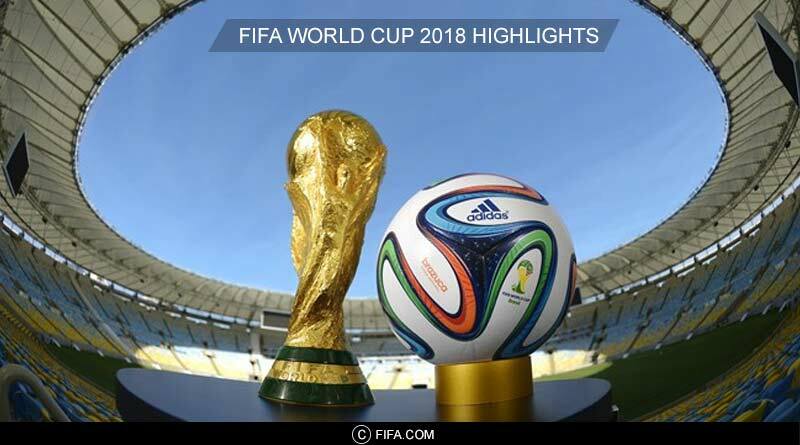 Sunday brought with it three matches in the world cup, with each more interesting than the other. It was a perfect day of football, one that saw some of the best results these group stages. While England thrashed Tunisia 6-1 to become the first side to score 6 in a match this year, lowly ranked Japan held Senegal to a draw and Colombia routed Poland 3-0 on the other hand. All the matches treated us to some fine footballing genius; the reason why we love this game. Coming back to world cup highlights, after Belgium had thrashed Tunisia 5-2 the other hand, the onus was now on England to rack up the goals against Panama in a bid top group G. And they turned up to the party in style, blowing away Panama in a first half of attacking football that saw them put five past their helpless opponents. Defender John Stones opened England’s account in as early as the 8th minute, heading in off a corner. It didn’t take England long to double, triple and even five times their lead from then! 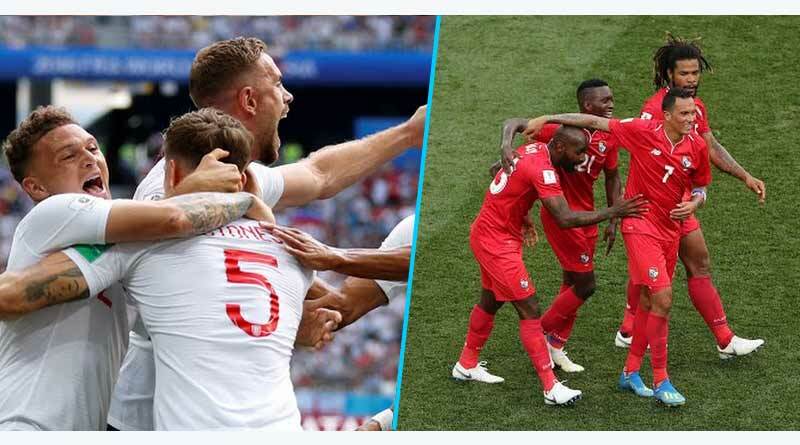 Panama’s strange approach of holding the England players in wrestling hold during corners saw them concede two penalties to Harry Kane, who slotted home with ease. He got his third in the second half to complete his hattrick and moved ahead of Cristiano Ronaldo in the race for the golden boot with five goals. Despite the thrashing they received, Panama celebrated a famous goal for themselves in the 78th minute by Baloy with great joy and pomp. We move our focus to the last group, Group H. Japan V. Senegal kicked off proceedings for the second round of matches in the group with Senegal going into the match as firm favourites. Not only did they boast of a much superior side then Japans, with many of their players plying their trade for some of the best clubs in the world, they also had history on their side, having never lost a game to Japan. Well but then this world cup is not the betting man’s world cup. Japan put on one of the most impressive performances this tournament, holding Senegal to a 2-2 draw. The Japanese have been the biggest surprise package of the tournament. Going into the cup having lost their four previous games and getting a new manager just a couple of weeks before the start of the tournament, Japan has been refreshingly good despite all these problems. 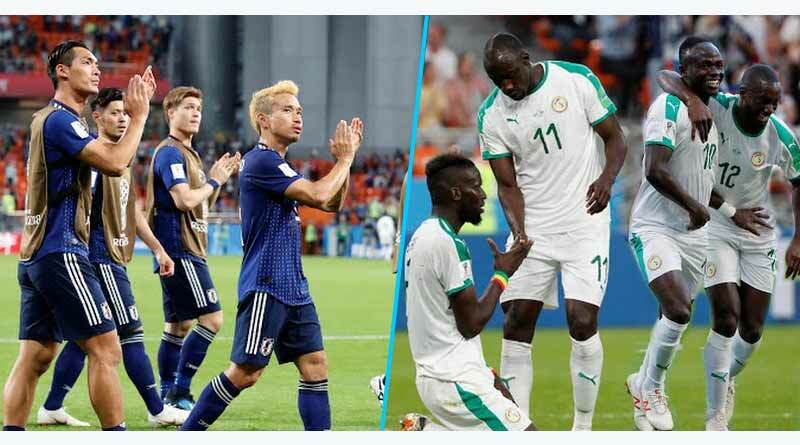 They created some mesmerising moves owing to their quick and slick passing which saw Inui and Honda score one each to cancel out Mane’s and Wague’s strikes for Senegal. Desperate for their first win in the tournament, Poland took on Colombia in the last match of the day. They, however, fizzled out as they failed to step up when it mattered. 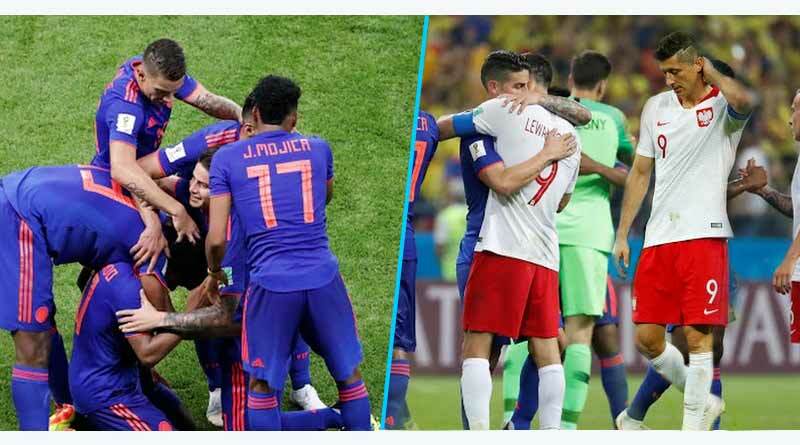 Launching next to no challenge in the match, they were schooled by a Colombia side that attacked really well, counter-attacking at the speed of light to put three past a helpless Poland. Mina, Falcao and Cuadrado bagged in neat finishes after getting on the end of well-worked moves to end Poland’s campaign for this year. Stay tuned for more world cup highlights.